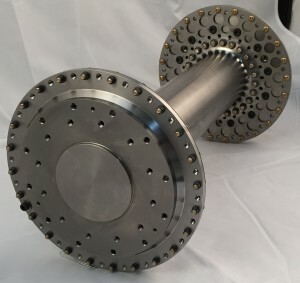 CCA specializes in designing and manufacturing couplings with the ability to provide torque limiting capability. These applications typically require precise and adjustable limits to ensure safe operating conditions for equipment and operators. Designs range from as little as 200 in-lb up to 32,000,000 in-lb. The FLEXXOR coupling and Anderson Clamp Hub work well with the addition of torque limiting features. One benefit of our design is that the shear pins are not affected by fatigue stresses from misalignment. This allows for much better long term, predictable functionality. 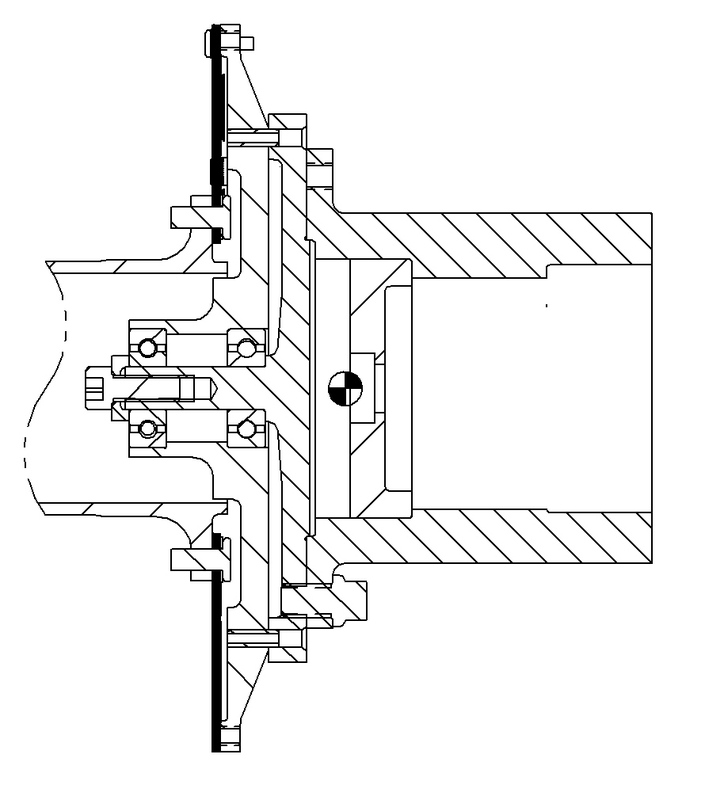 CCA coupling section view with shear section and spin down bearings. 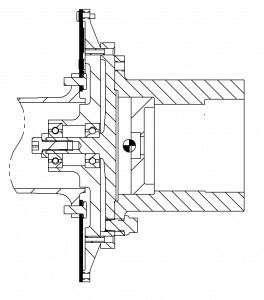 CCA coupling with a shear section.